When parents look their babies in the eyes, the great majority of them do not imagine the countless latent abilities in their children’s life. Babies’ brains grow at an astonishing pace, extremely fast, and they absorb information much easier than adults. For a long time, music has been known as an essential activity for the development of the brain, and many studies have repeatedly confirmed its long-term benefits. It is never too early to teach music to your child! By following the steps described in this article, you will set your baby on a musical path which not only will bring him happiness and satisfaction, but will also make him more intelligent. You can offer your child an education in the music field, and next we will present you some advice on how to do it. Select a wide variety of music CDs, either from your personal collection, or from the local library. Let your child listen to various music genres, such as classical music, country, disco, rock etc, right from his first days of life. Dance with your child while listening to music. This way, you will help him enrich his censorial information and the depth of his learning. Clap, or pat his arms and legs on the beat or rhythm of the music. Use the music as an opportunity for the baby to have a positive interaction with you. This will teach the child different types of music. Show your baby different CDs or DVDs about learning music. On television you can watch short musical programs that teach babies, little and older children to read music and to train their ear for music in order to achieve what is called a perfect ear, or perfect pitch. These shows also explain the notion of rhythm and teach how to recognize musical instruments in a piece of music. So start practicing with your child, trying to identify the musical instruments in a melody you listen together. Move and dance with your child on the rhythm of that CD or DVD and sing the notes with him. Make an inexpensive set of flashcards showing keys. Start with the notes in the G-clef. Show your baby several of them daily, and change the order every few days. You will see that before long your baby will be able to identify them correctly, like you have shown him. Resist the temptation of testing your child, as this might make him reject the activity and be reluctant to repeat it. Depending on the age of your child, it might be necessary to print the flashcards in bigger size. During this period, your baby may find it much easier to acquire all these abilities, a task that could be very daunting after a few years. When you perform this activity with your child make sure it is entertaining and worthwhile for both of you (or the three of you, if Mommy, Daddy and Baby are working together). Give your baby the chance to create his own music. Pots and pans can be funny music instruments. Encourage your baby to imitate you and guide him to follow various and complex rhythms. As the child is improving his skills, you can have him to keep the rhythm while you play another rhythm. A keyboard or, even better, a piano (but not a toy piano, which is usually out of tune and pitch) is perfect for your baby to exercise on. If you cannot get one of these instruments, then a xylophone or marimba might be helpful. Having access to an instrument gives little children and preschoolers the opportunity to practice and overcome problems and learn to recognize both the sound and the music. Take your baby to free pop and classical music concerts, either outside, or in the local library. By letting him attend these concerts even for a few minutes, you will help stimulate your baby’s curiosity and love for music. Tell the child where you are, what you see and what you hear. Draw his attention to the different types of instruments that are used most during the concert or presentation. Consider taking music classes with your baby or buying CDs/DVDs that teach music, and enjoy them together with your child. Sing nursery songs to your baby, as these tend to be babies’ favorites and can also provide information that your baby needs to know for his growth and development. Are you required to write a paper where research is an important part? Well, if yes, then for sure, there is a need for you to use an APA format generator. Also, since research is an integral part of writing a paper, you have to make use of certain research strategies for you to gain important data from other people which you can use as a support to your paper. While you will be doing your research, there will surely come a time where you will encounter reading materials and ideas that can be of use to your paper. In this situation, there will be a need for you to give credit to the references and sources of such articles or ideas. So, you have to list all the needed information about these sources to give them their due. With these references, your paper will surely become more convincing and reliable to whoever will read it. Furthermore, if you have your list of citations, your readers can easily do an in- depth study to check whether such references are true thereby making you avoid criticisms especially of plagiarizing. In this case, there is a need for you to have the APA citation builder. Also, you need to follow a writing format depending on what is required. There are many writing structures to choose from like the APA format or the MLA format. Once the APA format is necessary, then you have to make use of the APA format generator for easy structuring of your paper. Of course, with an APA format, there will be a need for you to use the APA citation generator. 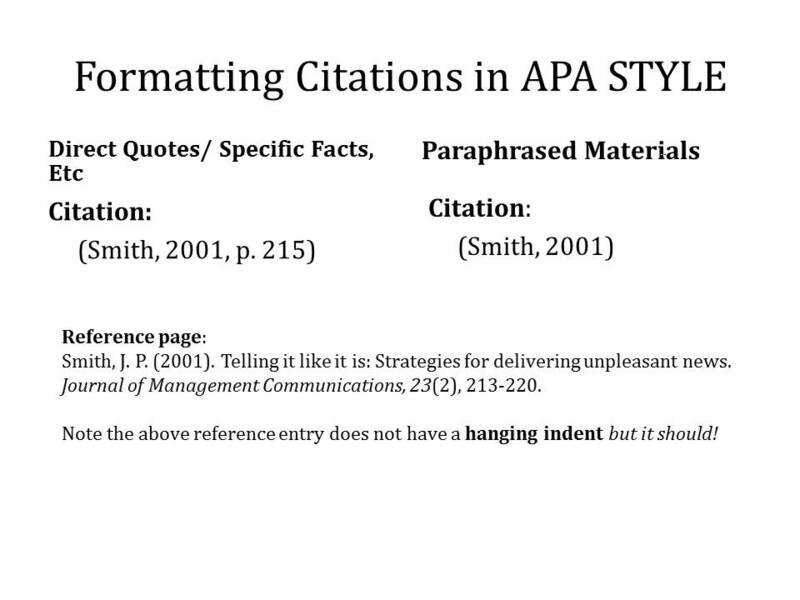 When you have utilized the APA format generator, you have to make use of the term “References” but if you employ the MLA format, the term that you should use should be “works cited” or “bibliography.” Furthermore, in both the APA and MLA formats, the references mentioned in the citations are the only sources that are found in the paper but in Bibliography, all the sources, mentioned or not in the paper should be included. Once you have decided to use the APA format generator, remember to also utilize the APA citation maker. Well, you can study the way of making an APA format paper but for those who are still confused, it is still best to utilize the APA citation maker software. How to use the APA citation generator? It is not complex to use the APA format generator. You just have to put some important data about the sources on the required fields and then it will do the rest of the format. Then the next thing to do is to copy the output given and place it on your paper. This software can be found online if you want to check it out. There are even free ones. You just have to enter the important keywords on the search engine and you can surely find an APA citation generator that suits your paper. Guster's latest album, Look Alive, is a trippy and textured twist on everything you might already love about the band. The Pulitzer Prize Board recently awarded Franklin, who died in 2018, with a special citation for her "indelible contribution" to American music and culture. Originally broadcast in 1999.